stairs combination wood and painted boards. does the mix of dark and light wood work? 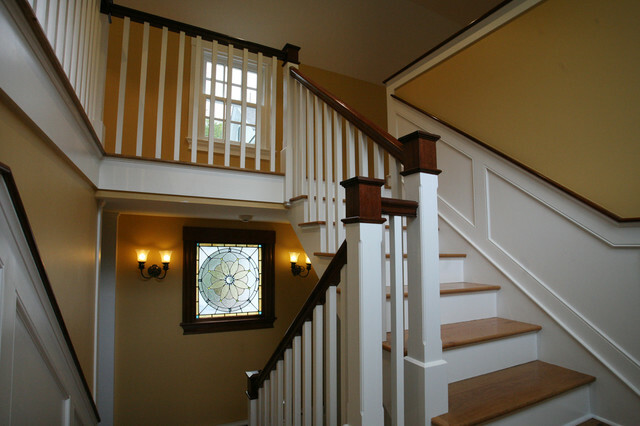 Classic stairwell complete with lead stainglass window.